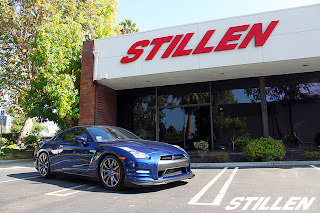 If you own a 2012 Nissan GT-R, and are looking for some parts to upgrade the performance, looks, and braking, STILLEN has a number of parts available. 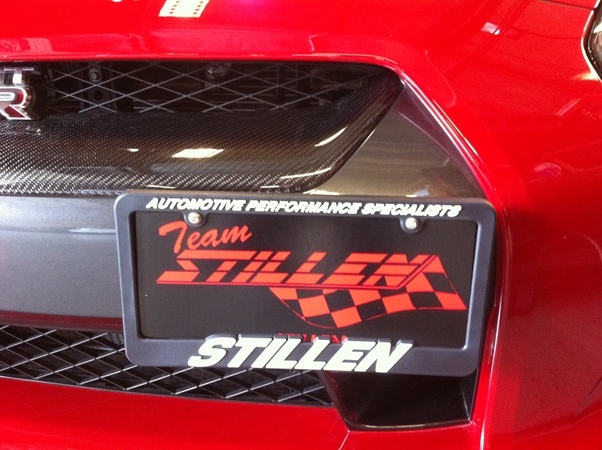 Everything from the Carbon Ceramic Brake rotor set, to a no drill license plate bracket. The Nissan GT-R is a quiet car. 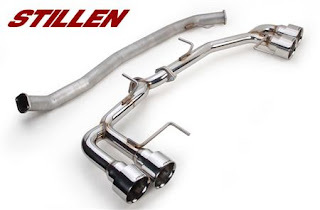 It has two turbos, followed by two catalytic converters in the downpipes, then the midpipe has two catalytic converters, and a resonator in it. 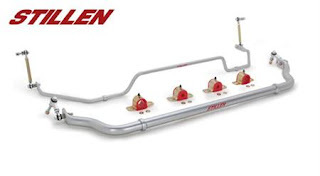 From the midpipe the exhaust travels to the back of the car, where there are two mufflers that lead to the four exhaust tips. 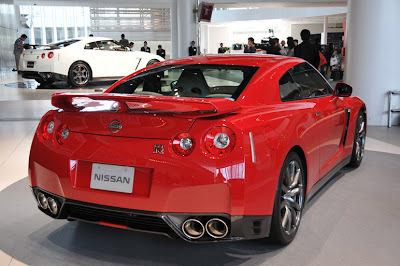 In 2012, Nissan upgraded the front Nissan GT-R brake rotors. 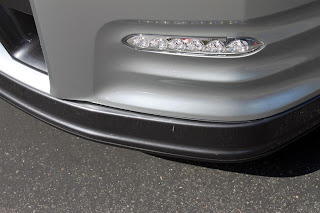 When run hard, the 2009-2011 brakes often cracked. At 380 mm and 34 mm thick, they are very large brake rotors, stopped by 6 piston calipers, and huge brake pads. For 2012, the calipers and the brake pads stayed the same, but the front rotors were upgraded to 390 mm x 32.8 mm thick. 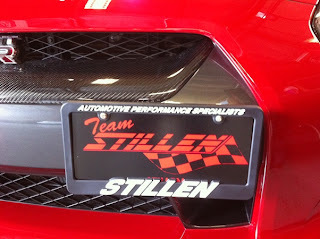 STILLEN/AP Racing has the ultimate upgrade for the Nissan GT-R brakes, carbon ceramic rotors(CCM). The CCM's come in at 38 lbs lighter than the factory brake rotors, and are unique in the aftermarket world. Fitted to some of the most exotic supercars, and even the SpecV version of the Nissan GT-R, CCM's are what you look to, when you are looking for the very best. These 400mm disc assemblies are larger than the standard OE iron discs, yet reduce weight by nearly half. This is rotating and unsprung weight, leading to improvements in all performance categories: acceleration, handling and braking. 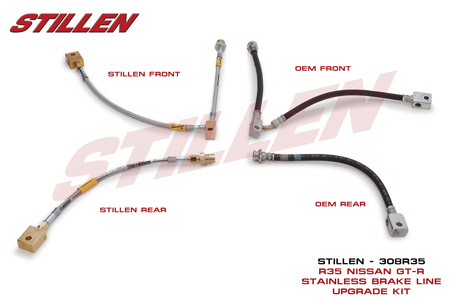 One other area that can be addressed in the 2012 GT-R factory braking system, is an upgrade from rubber lines, to stainless steel brake lines. The 2012 Nissan GT-R uses the same brake pad shape as the 2009-2011 car. There are a number of brake pad compounds available. You pick a brake pad compound, by how you use the car. 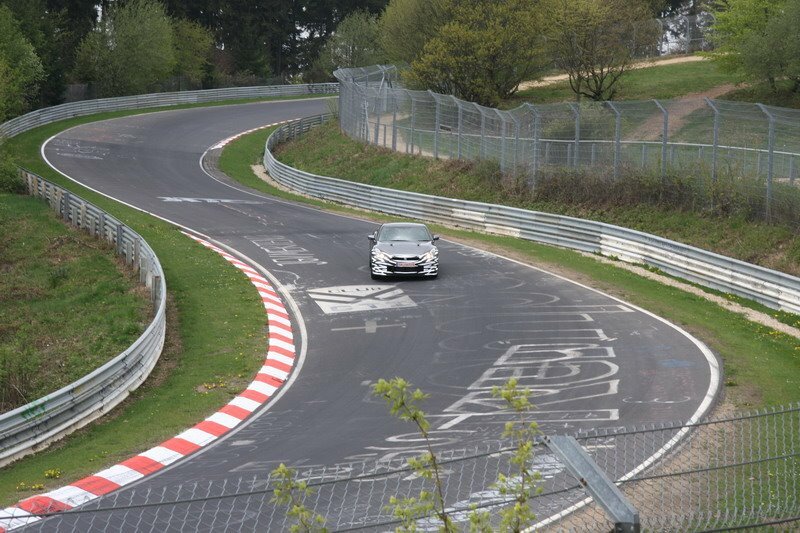 There are some changes to the suspension of the 2012 GT-R, but even with good stock parts, there are rooms for improvement. These upgraded sway bars have quickly become one of the most popular STILLEN products for the Nissan GT-R. By increasing the stiffness of the bar and offering multiple different mounting configurations, STILLEN has been able to come up with a 5-way adjustable sway bar with settings that any driver from street to the track will appreciate. 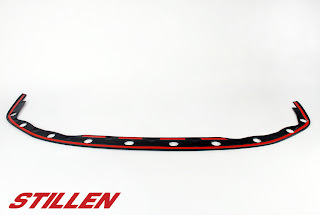 To enhance and protect the front lip, STILLEN makes several products that are available for the 2012 Nissan GT-R. Nissan lowered the drag coefficient of 2012 car, and changed the front lower lip assembly.